Think of me as your private concierge, at a budget you can afford. Allow me to build a getaway for you that I assure you’ll fall in love with. Hola! 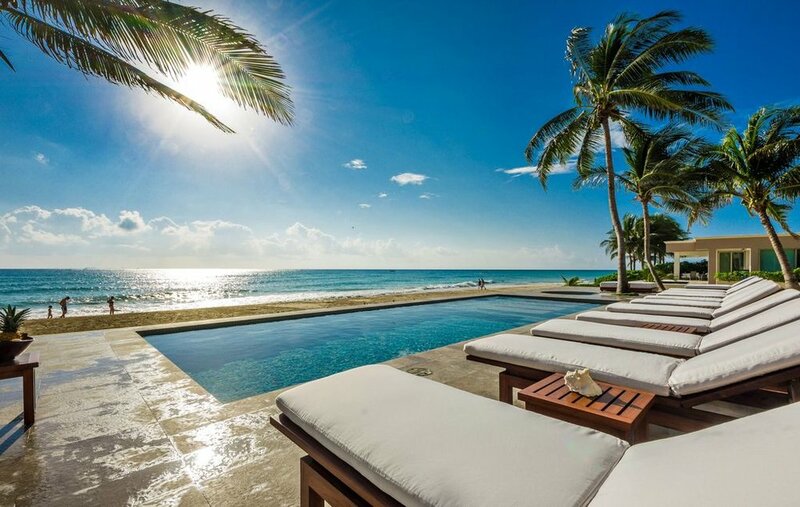 The Beach Planner is here to create your desired vacation in beautiful Mexico. Think of me as your private concierge, at a budget you can afford. Allow me to build a get away for you in a turquoise city by the sea that I assure you’ll fall in love with. My intention for each visitor is to provide a full leisure itinerary including private lodging in luxury villas, condos or boutique hotels and coordinate activities, dining, excursions and much more that are all planned out for you from the moment you step off the plane. I myself live in the lovely city of Playa del Carmen (originally from New York), and will be available to my clients at all times. My goal is to share the exquisite beaches, entertaining night life, and soothing breezes that I experience every day. Six miles of soft white sandy beaches, an abundance of yoga, healing and wellness rituals, and muy romántico. Tulum beach is lined with eco friendly boutique hotels, one after the other in a row that follows along the shoreline. Privacy, luxury, and style are the first things that come to mind when I think of Soliman Bay. The bay consists of large, beach front villas neighboring each other in a row that follows the coast and brings you clear, calm water perfect for many beach activities. The golden sands of Playa del Carmen sits on the coast of the Caribbean sea. Forty-five minutes south of Cancun and you'll find yourself in a vibrant city known best for it's palm-lined beaches and bright turquoise ocean. Mexico is a chill place for any occasion. Let the adventurer side let lose during the day, and hit the party scene after dark. All the tours that I offer are VIP, from visiting the magical cenotes of the Riviera Maya to discover the hidden treaures that it has to offer, to Kitesurfing lessons and Swimming with Whale Sharks to have a unique experience that you´re going to remember forever. I can arrange all this and more only for you! Just ask me and tell me about your dream vacation and my work is to make that come true! Want to know about festivities? Check all the events and festivities we have in the Riviera Maya and choose the best date for your vacations! For all questions and inquiries, please send a message below and you shall receive a response within 24 hours. Thank you! I’ll reply to your request as soon as possible.